EuroSciCon Ltd. Smart Materials Conference grandly Welcomes the participants from all over the world to attend 8th International Conference on Smart Materials and Structures will be held during August 01-02, 2019 in Dublin, Ireland which includes prompt keynote presentations, Oral talks, Poster presentations , scientific sessions, plenary lectures, poster presentations, world class Exhibitions, diverse Symposiums, highly enriched workshops and B2B meetings related to Material Science, Smart Materials, Structures, Mechanical, Computers, Electrical & Electronics, Physical Sciences, Nanoscience &Nanomaterials, Biomaterials, Materials Chemistry, Architecture & Civil, Medical Sciences & related Departments. All Academia and Business Companies find the fantastic opportunity to collaborate and access the New Technologies, sharing the knowledge across the globe. Smart Materials are group of materials which are known as functional materials. The energy forms that get featured are thermal energy, electric energy, magnetic energy, sound energy & mechanical energy. Smart Materials or smart structures are those which join actuators and sensors that highly incorporate into the structures and have basic functionality and in addition highly integrated control logic, signal conditioning, and signal power amplification electronics. The Smart Materials is anticipated to be the significant revolutionary force that results in influencing the human life and economy. it is strongly believed that combined impact of industrial and information Technology may approach the magnitude of change that could result from commercialization of Smart Materials. Smart Materials with it’s running theme, aims in accelerating the research and in promoting the knowledge across the globe. Smart materials and structures conference is the best platform to exchange ideas and to make new contacts with new people and organizations across the globe. It is a fantastic opportunity to collaborate with many people through collaboration spaces and break-out rooms. It allows delegates and the speakers to access the new technology and to get aware of the current trends in the field of Material science, smart materials, structures, Mechanical, Civil, Automobile, Aviation, Nanotechnology, Electronics, Electrical ,Biotechnology, Medical, Defence related fields. Smart material can be defined as material that can significantly change their mechanical properties (such as shape, stiffness, and viscosity), or their thermal, optical, or electromagnetic properties, in a predictable or controllable manner in response to their environment. Such materials have the ability to change shape or size simply by adding a little bit of heat, or to change from a liquid to solid almost instantly. Each individual type of smart material has a different property such as volume, viscosity, and conductivity which can be significantly altered. A smart structure is a versatile system and combination of sensing, controlling and actuation steps which is like an elemental analogue of human body. Each smart materials acts as unit cells for smart structures in which each cell performs both sensing and actuation functions. It has capability to check for more than one optimum condition and exhibit its function. Smart Structures resist natural calamities and satisfies all the technological demands. Smart materials have vast applications in the field of engineering such as Aerospace, Defense, Structure and buildings, Marine, Automotive, and Computers and other electronic devices, Civil engineering, Medical equipment applications, and Rotating machinery applications. Innovations in health and beauty side helps in drug-delivery systems, medical clothing, to fabric with moisturizer and anti-aging properties. Many intelligent clothing, wearable technology, and wearable computing projects involve the use of e-textiles. Intelligent Structures of Architecture and Civil Engineering are been a field to reveal and uncover the ancient and magnificent architecture by human on redesigning the earth's geography. The recent research in the area of archeological technology, Structural engineering, and Civil Engineering is going on with various principles of geotechnical, structural, environmental, transportation and construction engineering. Materials with any external dimension in the Nano scale or having internal structure or surface structure in the Nano scale. It has high surface to volume ratio hence very reactive. Bottom Up and Top down are the two methods for the preparation of nanomaterial.Nano Materials are designed for the benefits in various fields of applied Sciences and Engineering. These materials are Nano in size but have a big impact in the field of material science and engineering. Nano materials are smart materials with definite order of structures. Nanotech research involves practical applications in smart sensors and smart delivery systems and used as Magnetic Nano devices, Nano-Biosensors, Nano switches and Optical biosensors. 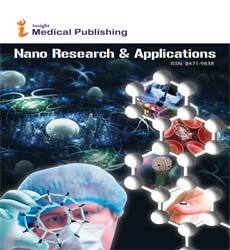 Few famous nanoparticles used in industries are monometallic, bimetallic, iron oxide, titanium dioxide and zinc oxide. Nanoparticles in sunscreen, cosmetics, some of the food products, used as chemical catalyst, very good adsorbents, Carbon Nanotubes for stain-resistive textiles, and cerium oxide as a fuel Catalyst. Biomaterials are materials which are used mainly in medical in order to repair or replace the damaged tissue. They have great impact on cell growth and proliferation of tissues. In the emergence of these biocompatible biomaterials as implants, augments that has remolded medical treatment, allowing the development in the fields of tissue engineering and medical bionic devices. Biosensors are the analytical devices which can convert biological responses into electrical signals. 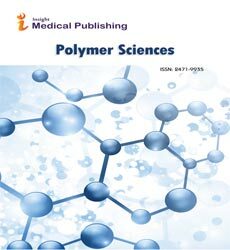 Biomaterials have many applications in medical filed such as cancer treatments, artificial ligaments and collagen tissue, joint replacements, bone plates, and applications in contact lenses, and also having some non-medical applications such as to, blood proteins assays, growing cells in culture etc. The process of integration of Engineering, Material Science and Biology will lead to production of Smart Bioactive Materials, the field is known as Bionics. The progress of developing these materials and finding ways of processing them and integrating them into existing systems is the current challenge to the research institutes and industry. Physics and chemistry are the basic natural sciences. Physics gives the broad idea about the matter and dynamic system. It tells about the motion and behavior of any objects through space and time. Chemistry basically tells about the compounds, composition, structure and physicochemical properties. The background of the physics and chemistry is the basic knowledge and are manifestation of every other branch. Optical and Electronic Smart Materials are the materials that are connected and related with light and electricity. It includes the study, design and manufacturing of smart materials that convert electrical signals into light signals and light signals to electrical signals and the devices which converts is called as an optoelectronicdevice.Optoelectronics intensifies on the quantum mechanical effects of light on electronic materials, and also in the presence of electric fields, i.e. semiconductors. Optoelectronic technologies consist of laser systems, remote sensing systems, fiber optic communications, optical information systems, and electric eyes medical diagnostic systems. Artificial Intelligence is applied when a machine imitates cognitive functions of human beings such as problem solving and learning. Machines and Intelligent systems are gradually taking over more routine day to day task. These machines and systems are mainly designed to do specific tasks in specific situations. There are fascinating examples ranging from chat-robots in healthcare, data-analytics, block chain technology in the energy sector, driverless cars in automotive industry and robot advisors in banking and finance. Sensors are materials that respond to a physical stimulus, such as a change in temperature, pressure, or illumination, and transmit a resulting signal for monitoring or operating a control. Actuators are materials that respond to a stimulus in the form of a mechanical property change such as a dimensional or a viscosity change. A transducer is a device that converts variations physical parameters into an electrical signal, or vice versa. These are key elements of smart controlling systems and structures. A Smart Grid is a system which includes variety of operational and energy measuresincluding renewableenergy resources, smart meters, smart appliances and energy efficiency resources. Batteries such as Lithium batteries are used in various types of mobile devices, including communication equipment, computers, entertainment devices, power tools, toys, games, lighting and medical devices. Solar energy has being derived from natural sources that doesn’t harm the behavioral and environmental factors. The energy which is taken from the sun is converted into solar energy (thermal or electrical) for further use. Fuel production is also done from solar energy with the help of high temperature. In energy storage, energy is capture which is produced at one time and is store for future use. Emerging Materials incorporates wide range of natural and man-made materials that relates the structure, synthesis, properties, characterization, performance and material processing. Manufacturing is wide area of inputs, processes and products which includes production of large ships to hand drilling equipment and from micro circuits to automobiles. Manufacturing covers a very wide range of field right from robots to highly mechanized lines and also simple day to day use equipment with mechanical activities.Thus, manufacturing industries in recent year produces a dimension scale of more than fifteen orders of magnitudes. The design and manufacture of huge machinery from ships and space crafts on one side while Nano and Pico technology on the other side of the dimension scale, highlights the challenges ahead for engineers and technologists. Advancement in manufacturing technologies unfolds lot of opportunities for the scientific and academic companionship. Mathematical model is a description of a system using mathematical concepts. It helps to study a system and understands the effect of parameters on the system. Smart structure utilizes various materials which require characterization of their constitutive properties and development of models quantifies their interactions within underlying systems. Development of linear, nonlinear and hypothetical models constitutes amenable relation to control design and formulation of control law enhances the performance of smart structures. The development of true smart materials at the atomic scale is still some way off, although the enabling technologies are under development. These require novel aspects of nanotechnology (technologies associated with materials and processes at the nanometer scale, 10-9m and the newly developing science of shape chemistry A good memory is not something which money can buy. Thus the memory of these will play a key role in a way that many types of products are designed and assembled in the future. There are many applications for the technology in Automotive,Aerospace,Appliance, Medical and Electronics industries. The application of smart materials in future becomes a trend in various fields in Engineering. The support of Government with its initiatives, the initiative R&D investment in the industries and institutions and the adoption of smart material products among various end-user industries like Defense & Aerospace, Automotive, and Consumer electronics has driven the market of smart materials. 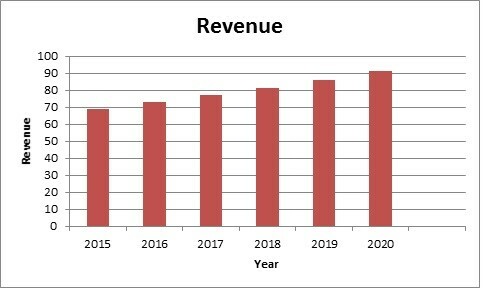 There is a high demand for smart materials on account of potential growth in emerging economies as well as evolution in Internet of Things (IoTs).It is expected that the smart material market will attain up to billion dollars by 2022. The trend in the market and the factors impacting the market are studied. The “8th International Conference on Smart Materials and Structures” is the platform to gain or share the knowledge in the new technological developments in the field of science, Engineering and Technology. This conference brings together professors, researchers, scientists, students in all the areas of Material science, Engineering and Nanotechnology and offers an international forum for the spreading of approved research. We are honored to invite you all to attend and register for the 8th International Conference on Smart Materials and Structures(Smart Materials Congress 2019)” which is scheduled for August 01-02, 2019 in Dublin, Ireland. The organizing committee is arranging for an exciting and enlightening conference program that includes plenary lectures, symposia, workshops on a variety of topics, poster presentations and various programs for participants from all over the world. We invite you to join us at 8th International Conference on Smart Materials and Structures, where you will be sure of having an eloquent experience with scholars from around the world. All members of the Smart Material Congress 2019 organizing committee look forward to meeting you in Dublin, Ireland. The Material Research encompasses the fundamental studies of materials structure - property relationships for the current and future importance in the field of science and engineering. The growth of materials in industrial application was enhanced by the establishment of academic programs and research institutes around the globe. The National Nanotechnology Initiative (NNI) was established primarily since Nano science and technology are predicted to have an enormous potential economic impact. It is strongly believed that combined impact of industrial and information technology may approach the magnitude of change that could result from commercialization of material nanotechnology. Smart Materials Congress 2019 provides a striking opportunity to meet and make new contacts that link us with delegates who are active in the field of material science, Biomaterials and nanotechnology. It offers comprehensive sessions on recent strategies and advances in the development of new materials. Networking enables sharpening skills, spark inspiration and uncover new ideas during break-out sessions providing tea and lunch for the delegates. The important subjects are addressed by the expertise key note speakers with global recognition thus conferring knowledge on the new technologies and latest drift in the domain.The 8th International Conference on Smart Materials and Structures accents the prominent key note speakers, plenary speeches, young research forum, poster presentations, technical workshops and career guidance sessions. The global smart materials market is anticipated to reach USD 98.2 billion by 2025, according to a report by Grand View Research, Inc. Extensive research & innovation activities have widened the industrial applications of smart materials. Augmented use of smart actuators & motors, sensors, and structural materials is anticipated to bolster the demand over the next few years. Smart materials are advanced products, which can sense and respond to a broad range of stimuli, including electric and magnetic fields, temperature, pressure, mechanical stress,hydrostatic pressure, nuclear radiation, and pH change. Unique properties of these products allow them to revert to their original state after removal of the stimuli. Piezoelectric, shape memory, electrostrictive, magnetostrictive, phase change, and electrochromic materials have gained wide industrial acceptance in the recent past. Furthermore, ferromagnetic shape memory alloys, electroactive polymers, conductive polymers, and carbon nanotube actuators are few of the emerging materials in the market, with strong application potential. North America was the leading region in the global market in 2016, primarily owing to significant demand for smart actuators & motors in key industries such as automotive, consumer goods, and aerospace. Europe accounted for the second-largest share of the market in 2016, followed by Asia Pacific. Asia Pacific is anticipated to exhibit a remarkable growth over the forecast period, owing to significant research activities supported by the government. The global core materials market for composites is expected to rise from USD 1.17 Billion in 2016 to USD 1.92 Billion by 2022, at a CAGR of 8.77% from 2017 to 2022. The usage of core materials is becoming vital in wind energy, aerospace, marine, transportation, construction and other industries. 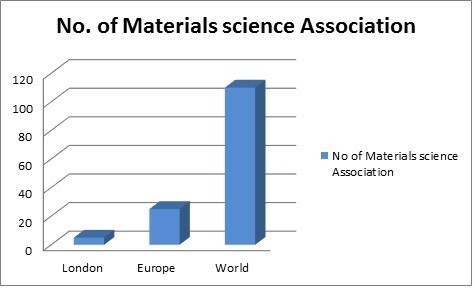 The leading manufacturers of core materials are Evonik Industries AG (Germany), Armacell International S.A (Luxembourg), Plascore Incorporated (U.S.), Euro-Composites S.A (Luxembourg), Diab Group (Sweden), 3A Composites (Switzerland), Gurit Holding AG (Switzerland), Hexcel Corporation (U.S), and The Gill Corporation (U.S.). These manufacturers implemented several organic and inorganic developmental approaches.